Here is a handy program for you tech heads out there. WSUS Offline Update allows you to download Windows Updates for Windows 2000/XP/Vista/Windows 7/Windows Server 2003/Windows Server 2008 and Windows Server 2008 R2 this includes 32-bit and 64-bit versions of the operating systems. 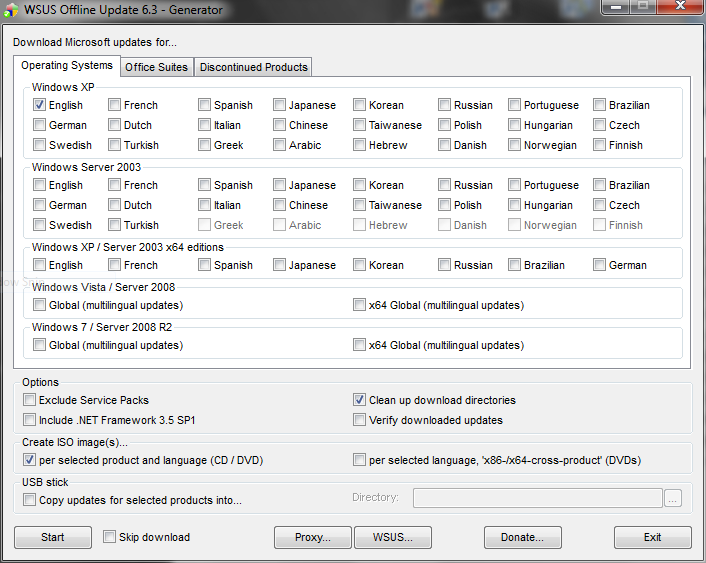 As well as Windows Updates it will also download updates for Microsoft’s Office suites. (Office XP, Office 2003 and Office 2007). The coolest part is that once you have downloaded the updates you can then create an ISO file to burn all of the updates on to a CD or DVD or copy them to a USB Storage Device so you can update other Windows machines without having to download all of the updates again. You can download the program on WSUS’s Website. Previous Previous post: What If Dr Seuss Wrote Computer Training Manuals?